If you wanted to take a spin to reach a conclusion about what it is like to live, really live, in Mexico, you could not reach your destination faster than by doing a house-sitting gig. House sitting is role-playing. You are playing house, taking the homeowner’s role as a resident of Mexico. Their life is probably pretty representative of what daily life is typically like for anyone who lives year-round in a particular neighborhood and city in Mexico. Unlike being isolated in a tourist area, the furthest distance from reality, when you house sit you probably will be introduced to neighbors who know the area well. You talk with them about things that the homeowner likely talks about with them. You deal with same daily issues they do, run errands and feed the cat. Life. In Mazatlán, I know a woman who comes every summer to house sit for the neighbors of expat friends of mine who live across the street. Before she even arrived the first year, my friends knew her name and all about her. She melded into the gang instantly and was briefed about the city, where to go and what to do. If she ever came back to live, she could call us for questions or advice. I cannot imagine an easier transition to life in Mexico. I have first-hand experience with house-sitting as well. When I first moved to Colorado, I lived with an uncle for a year in Denver until I found a job and determined which neighborhood I wanted to live in. During that time, I house sat for a few friends up in the mountains and foothills to give him a little space now and then. I also house sat in Mexico as a favor for my business partner The Intrepid Elise, who has several dogs, while she vacationed in Canada. Since I had already rented a condo on the beach for the season, I let several Mexican girlfriends and their family members stay there for mini-vacations while I took care of Marley and Wave up north of the city. Elise’s home has its quirks, but having lived their for five months my first year in Mexico, at least I knew that the oven could kill me, one of the little details about Mexican homes that owners get used to. These experiences taught me quite a bit about the pros, cons and the process of house-sitting, including when to say no. The pets - If your current lifestyle keeps you from owning a pet and you really miss having one, with housesitting you can curl up to your heart's content with the dogs and cats. Whenever there was a tropical storm, Elise’s three dogs would run into the office I set up and lie at my feet under my desk, staring up at me for reassurance. I still miss that. Or the Saturday nights when it was just the four of us, Netflix, and the couch. One of the houses I stayed at backed right up against the foothills of Denver. At dawn, the hills would slowly and audibly come to life. I could watch and hear the unfolding of the day from bed. The house had a large, beautifully landscaped and terraced backyard. A girlfriend and I enjoyed it from the deck with a glass of wine one dusk. While I would not want a big yard to maintain or to live that far out of the city, it was fun for a few weeks to pretend that it was mine. The introductions - As mentioned, usually owners will introduce a housesitter to neighbors who know the area intimately. They can be great resource and friends s even after your house sitting gig is up should you decide to move to that city or town. House-sitting gigs in Mexico are often in low-season, when the weather is not its best and the homeowners are going away for better weather. As a potential expat considering a city, you should know what your city will be like at its worst as well as at its best. You do not want to move there only to discover the summer or other off-season months are insufferable. If you are considering moving to a certain Mexican town, it is crucial you spend an extended period there, including during its least popular time. The savings - Staying long-term but less than a year in a place you like, and such towns are usually popular with others too, can be very expensive, too expensive for AirBnB and like situations. House-sitting, you probably will not pay any rent if you are taking care of pets, saving you thousands of dollars. A quiet place to work - As a caretaker, you will be expected to be there most of the time. If you work from a laptop, you will have a positive environment for work, including the company of pets to give you a reason for an occasional break for walks and fresh air. You have the satisfaction of providing a service. - Before you commit, you need to confirm that the homeowner respects the fact that you are providing a service. It will be you who takes care of plumbing issues if they arise, provides security, and communicates with any additional staff (pool maintenance, gardeners, water delivery, and maids) as well as take care of pets on a schedule, pets they would have to pay to kennel without you. In coastal areas of Mexico, during hurricane season you might be the one to batten down the hatches should a tropical storm threaten to move in. Everytime you house sit, you learn something new. You are tied-down.- While it’s not ditch-digging or brick-laying, house-sitting is not exactly a vacation. It’s not a lockdown situation but you do need to spend most of your time there. If part of exploring an area are weekend getaways, you cannot do more than an occasional evening or afternoon out. Pets are a big responsibility - Most pets have specific feeding and walking schedules. If you care for more than one pet, their schedules might even be different. The walks have to be taken every day regardless of weather. Leash laws are not enforced in Mexico, so you have to be especially vigilant. In a sense, you have more weighing on you than the actual homeowner. To give you some perspective, imagine accidently harming, losing, or your dog dying somehow on your watch (they snap a leash and run in front of a car). Sounds horrific, right? Now think about how you would feel if it were someone else’s dog. This is not to scare you. You can find out anything about particular breeds of pet care online if you need to do some homework. The pet owner should also write out specific instructions on pet care and the vet to call in an emergency. The likelihood of such an emergency is remote however it always weighs heavily on my mind when I housesit, even more than if they were my own pets. House-sitting in Mexico is unique, a bit different from house-sitting at home. For that reason, if I wanted to housesit in Mexico, I would use the website/service HouseSitMexico, rather than a site dealing with house-sitting all over the world. In a future blog, I will talk to the owner of House Sit Mexico about house sitting in Mexico, what you should do to promote yourself for the best house-sitting assignments, and talk to a few of people who have house sat through Housesit Mexico about their experiences, and what to expect. If you get the right assignment, house sitting can be a terrific shortcut in determining if full-time life in Mexico is for you. 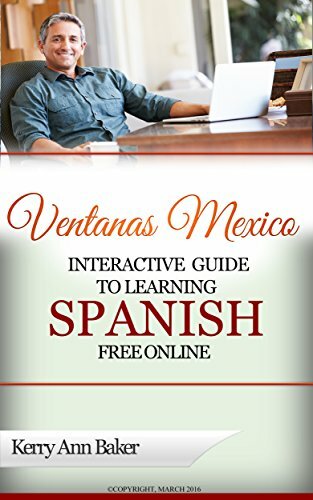 Most recent: More drugs and their prices in Mexico versus the U.S.
Kerry Baker is the author of The Interactive Guide to Learning Spanish Free Online, a curation of the best tools on the web, tools you’d never find in a Google search, organized into lesson plans by level. Learning Spanish is cited as one of the most important ways to prepare for life in Mexico. Use the lesson plans or create your own to never get bored with studying. 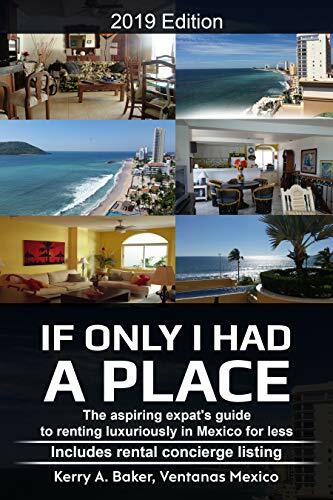 Her second book is If I Only Had a Place, a book on how to rent well, beautifully and cheaply in Mexico. Renting in Mexico is different. Avoid the pitfalls and take advantage of the special opportunities you have in renting as a expat.